What should states be doing with respect to retirement benefits for their workers? Is it just a political debate, like everything else? Red vs. blue, left vs. right? Have Public Employee Pensions Become More Generous, or Less? There's a debate going on about public employee pensions. One study finds that government pensions have become more generous over the years. But a prominent academic replies that public sector retirement benefits have remained steady in generosity and taxpayer costs have actually fallen because public employees are paying more for their pensions. CalSavers is one of a growing number of state-run retirement programs creating a new pool of clients for defined contribution providers. 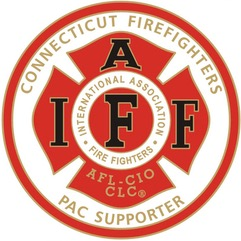 (Connecticut) According to the article, Bergstein's plan would have the government guaranteeing only to pay a "base" level of benefits and then "ancillary" benefits if circumstances allow, instead of promising "full, generous" pensions. The future of the Illinois Secure Choice Savings Program Act (Secure Choice) is uncertain following Governor Bruce Rauner's amendatory veto that could make employer participation in the Secure Choice program optional. (Iowa) Fitzgerald says if he's re-elected, he'll continue lobbying Iowa legislators to create a state-managed retirement savings plan like the College Savings Iowa program. Republican Gov. Matt Bevin warned Wednesday that Kentucky's counties will be "screwed" financially if the state's Supreme Court invalidates a new pension law, saying that unchecked increases in pension obligations will "hammer the blazes out of your budgets." The New Mexico Educational Retirement Board is once again contemplating changes to its state pension fund that could affect current and future state educational retirees, including those at The University of New Mexico, as well as prospective new employees, as it continues to struggle in an effort to gain solid financial footing.